The Malibu LTZ reminds us of the pleasures of owning a midsize executive sedan rather than an SUV. As a nameplate that has been running since 1964, the Chevrolet Malibu is one of the longest running midsize sedans on the market. While Americans enjoy the nostalgia that the nameplate carries, it’s a different scenario here in the Philippines. This segment has long been dominated by the Toyota Camry and Honda Accord, and yet, the 2018 Chevrolet Malibu is an executive mid-sized saloon that carries out no sin whatsoever. Think of it as Val Kilmer with seats! Classy yet with a somewhat distorted smile. It stands out for its attractive styling, refined demeanour, and surprisingly thrilling performance. Despite the family car classification, the Malibu is both beautiful and athletic. 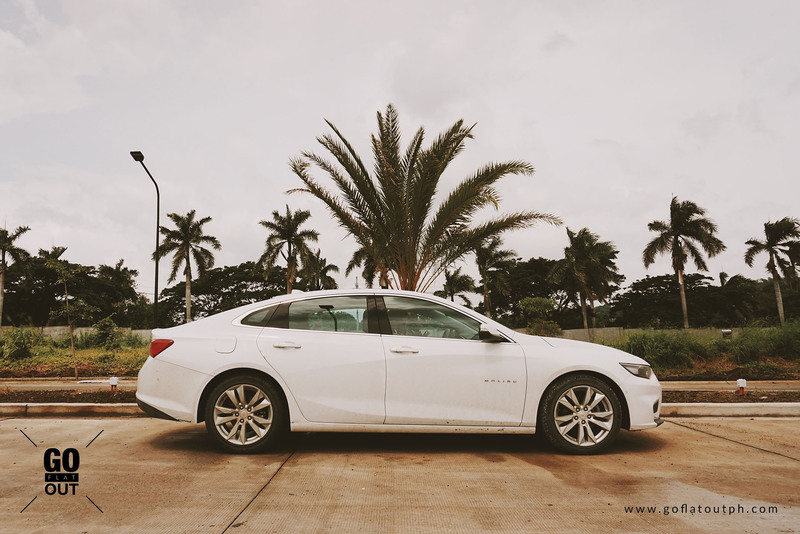 The 2018 Malibu is a pleasant surprise when it broke cover at the 2018 Manila International Auto Show, boasting sophisticated styling and modern tech that comes with the car. 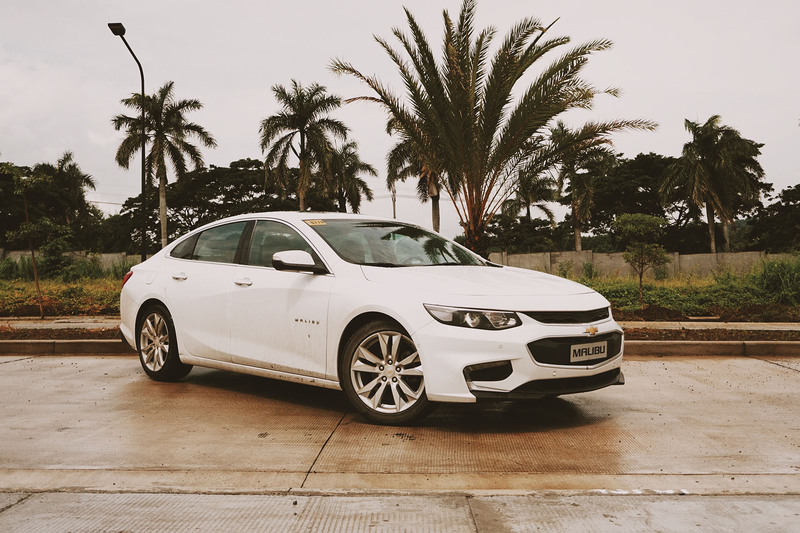 Immediately after receiving the Malibu from Chevrolet Philippines, I instantly had an idiotic idea to drive it to Clark, Pampanga during what seems like an eternity of rain fall that was happening, causing massive floods around Metro Manila. Nevertheless, I pushed through with my plans to test the Malibu up north. Almost instantly entering the car, I was greeted to a huge cabin. 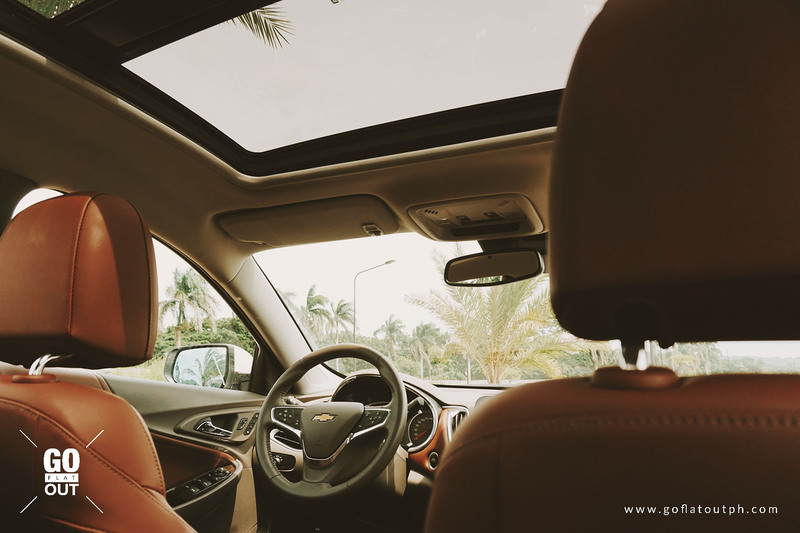 From the large door windows, to the massive panoramic sun roof, the Malibu feels so spacious, you could play football in it. The Malibu’s majestic sheetmetal and aggressive face work together to create a classy and sporty combo. In fact, it’s among the most attractive mid-sized saloons on the market. The low and wide front end features a double stacked grille, which are flanked by mischievously squinty automatic HID headlamps with LED daytime running lights at the bottom. 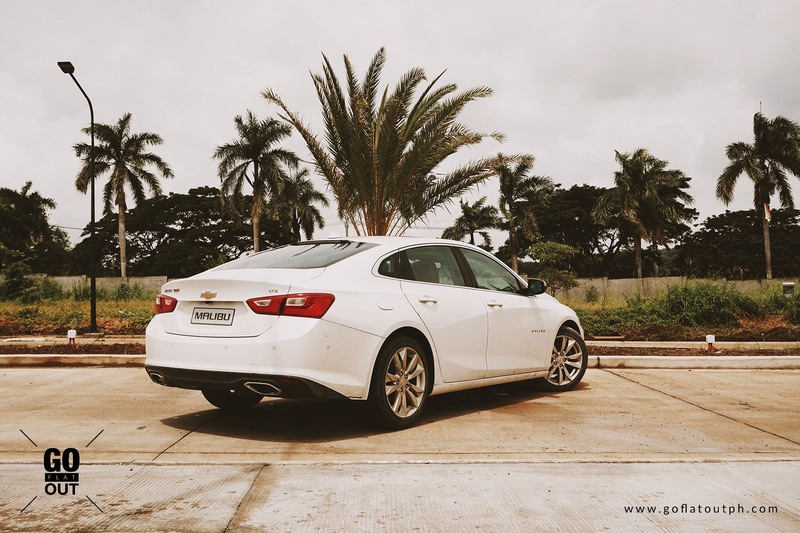 While the overall results comes as somewhat awkward in some angles, this is redeemed by its extremely sleek coupé-like roofline, giving the Malibu a very dynamic profile that strays away from the traditional three-box sedan design. This is enhanced by its stylish 18-inch alloy wheels shod in 245/45 R 18 W Hankook Ventus S1evo2 rubber. At the back, the roofline neatly tapers to the trunk, and the LED tail lights give a very dynamic look at night. The symmetrical dashboard and large center storage bin underneath make the cockpit feel spacious. The grey and brown color scheme is a rather shouty design choice, but looks tastefully executed for this class of car, a far cry from the usual black interiors. It is officially called by Chevrolet as “Dark Atmosphere with Loft Brown accents.” Outside the “Loft Brown” leather-clad surfaces, you do however get some cheap plastics here and there, and frankly, they’re quite prone from scratching, too, but as a whole, it doesn’t really lessen the Malibu’s overall plush ambience. 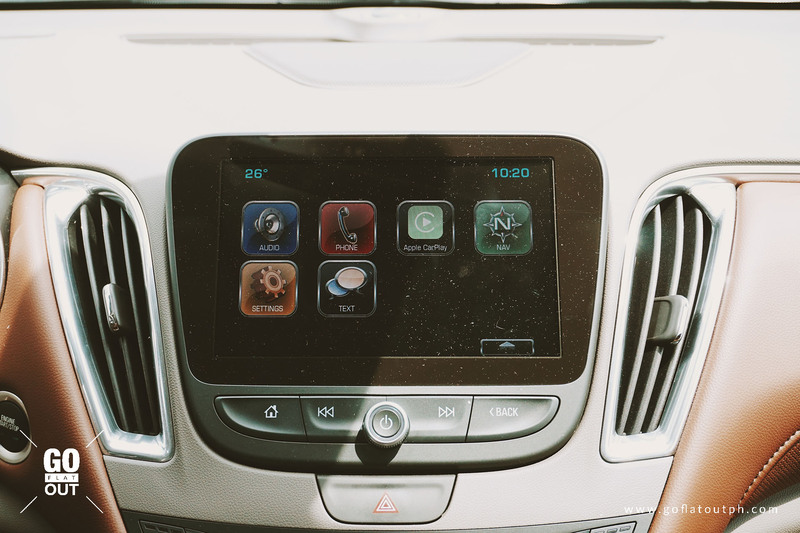 Mounted front and center is Chevrolet’s MyLink infotainment system, featuring an 8-inch touch screen user interface that features Apple CarPlay, Android Auto, Bluetooth, and USB. Icons and menus utilize large buttons and icons, which makes it easy to operate even when on the move. There’s minimal lag, too, which makes it pleasant to use. Being a competitor to the Toyota Camry, Honda Accord, and Mazda 6, you’d expect the Malibu to be as comfy as it’s Asian rivals, right? Well, it’s not… it’s categorically comfy! The seats are bang on, with a hint of sporty feel. 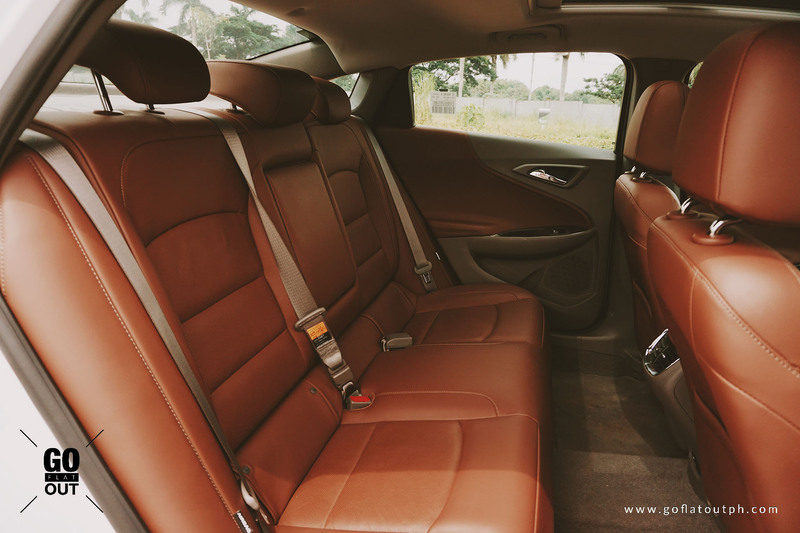 The front seats have a wide base and supportive side bolsters, but the back cushions are too narrow specially if you’re a man with the same proportions as mine. As for the rest of the interior experience, every seat in this car is as cozy as your grandparents’ old sofa where you used to fall asleep as a kid. A welcome addition is the ventilated front seats, which made hot days much more pleasant. 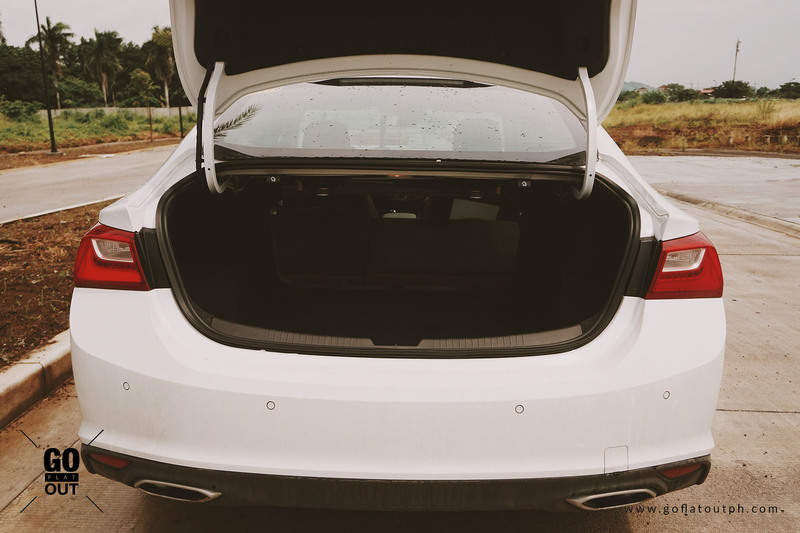 At the back, the Malibu has a 60/40 split-folding rear seat that must be released by a handle that is located in the trunk. Its 447-liter trunk capacity is generous, and is about par for the class. The turbocharged 2.0-litre inline-4 makes 250 horsepower @ 5,300 rpm and 353 Nm of torque @ 2,000-5,000 rpm, and is mated with a 6-speed automatic transmission. This powertrain combination makes the Malibu diabolically fast in acceleration. The noise from the blow-off valve and over run swoosh of the turbo gives me that tingling sensation that the Malibu feels like a freakin’ rally car! The responsiveness of the engine is mind boggling, it has minimal turbo lag and maximum oomph! Out on the open road, the Malibu balances a smooth ride and nimble handling better than many rivals. That means you could still do an overtake with immense potency thanks to all that power. The ride comfort and quality were above average for the segment, finely dancing between the lines of comfort and sport. I’ve spent a week driving the Malibu mainly in the highways and it was as comfy as sitting on a freshly baked pie. I was impressed with the responsiveness of the chassis, and the overall suspension damping was neither soft nor stiff. The Malibu could even pass as a sporty executive sedan. Steering was progressive and informative compared with most sedans, though rivals such as the Mazda 6 still feel more dynamic. 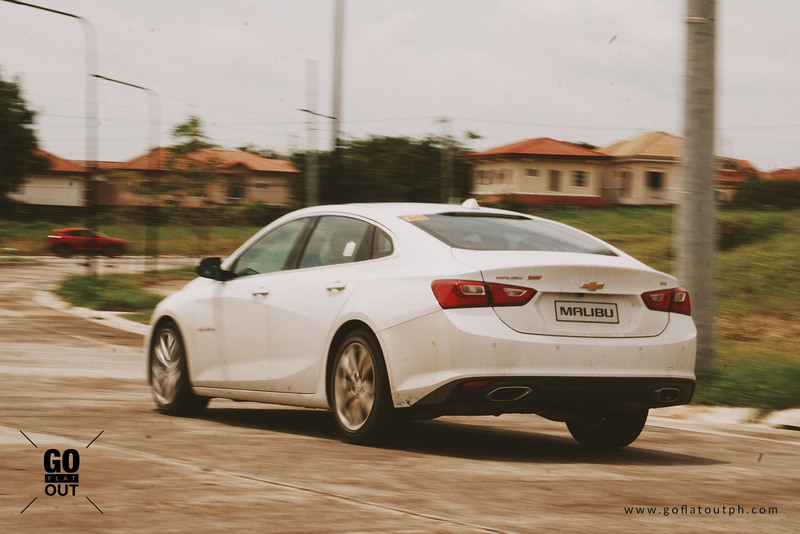 Performance from the engine was surprising, and it also emits some interesting noises blow-off valves that give the Malibu some unexpected character. With its performance, I was able to achieve a fuel economy figure of 14 l/100 km as indicated in the trip computer, which translates 7.14 km/l. Not exactly class leading, but because I really enjoyed the performance of this car, it’s a commendable fuel economy figure nonetheless. 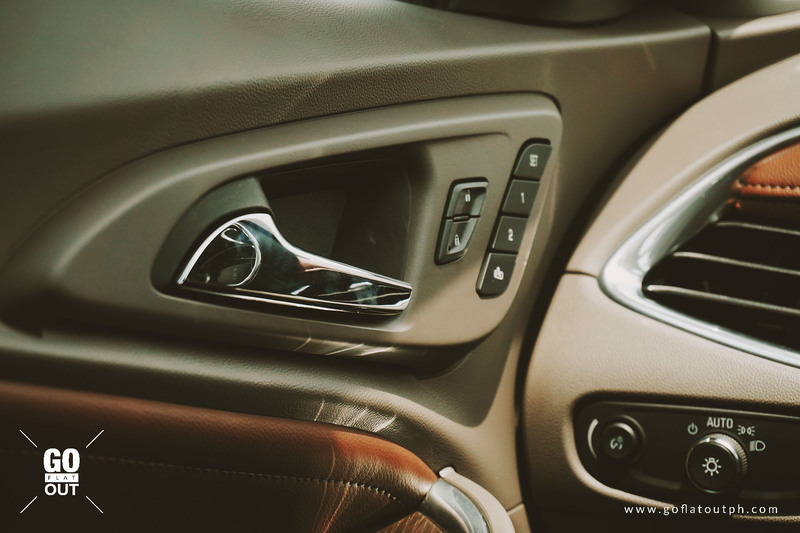 The Malibu has all the safety bells and whistles such as lane keeping assist, brake assist, parking assist, blind spot monitoring, forward collision warning, automatic emergency braking, adaptive cruise control, and a million sensors that make life so much easier. This is on top of safety features that include electronic stability control and 8 airbags. 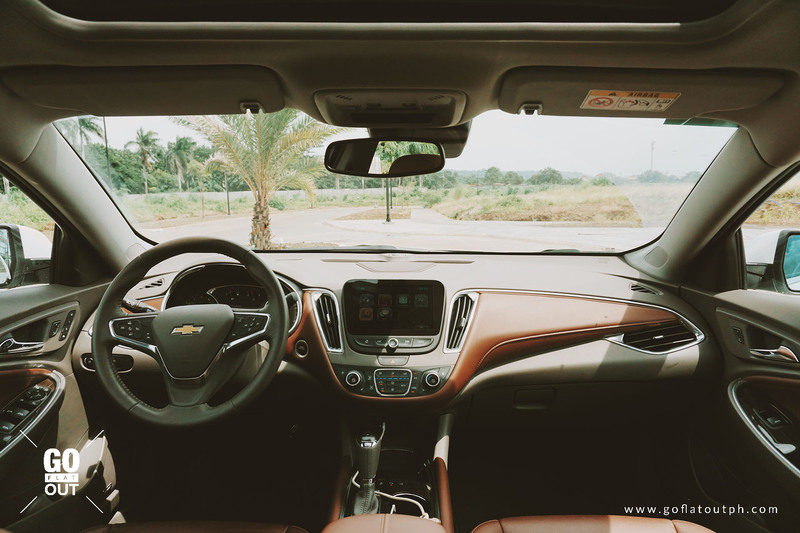 Having driven the Malibu whilst monsoon rains just wouldn’t stop, and streets of Manila being submerged under water, I was stuck at Clark all night fearing that the floods would completely end my time with the Malibu. You know what, I was not in any rush. Sitting in the car felt very cozy and kept me chilled, I knew this car would not let me down. The Chevrolet Malibu offers plenty of fascinating reasons to entice buyers. It provides plenty of thrills in thoroughly competent and comfortable package. While the midsize sedan segment is fast declining, cars like this Malibu LTZ reminds us of the pleasures of why some people would still cruise in these plush executive sedans.